Canada is a country, consisting of ten provinces and three territories, in the northern part of the continent of North America. It extends from the Atlantic to the Pacific and northward into the Arctic Ocean, covering 9.98 million sq km in total, making it the world’s second-largest country by total area and the fourth-largest country by land area. Canada’s common border with the United States forms the world’s longest land border. The country is officially bilingual at the federal level. It is one of the world’s most ethnically diverse and multicultural nations, Its advanced economy is one of the largest in the world, relying chiefly upon its abundant natural resources and well-developed international trade networks. Canada’s long and complex relationship with the United States has had a significant impact on its economy and culture. 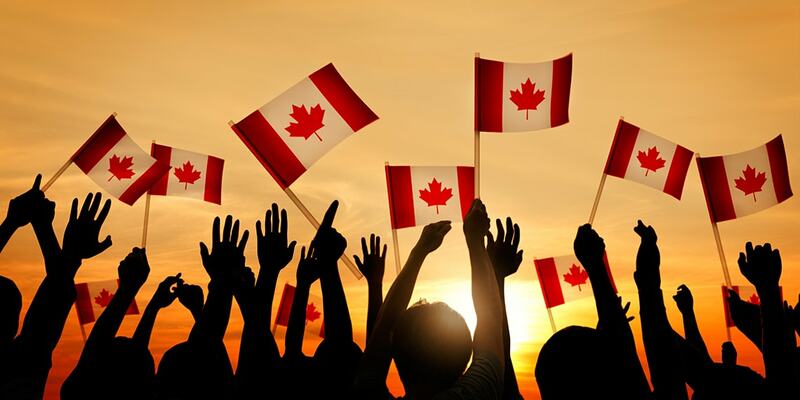 Canada is a developed country and one of the wealthiest in the world, with the tenth highest nominal per capita income globally, and the eighth highest ranking in the Human Development Index. It ranks among the highest in international measurements of government transparency, civil liberties, quality of life, economic freedom, and education. Primary Education in Canada is both privately and publicly funded, and parents and children can choose the schools that they prefer. Young children often spend 1 – 2 years voluntarily in kindergarten before starting their primary education. There is no distinction between middle and high school. Most Canadian youngsters complete their school education till Grade 12. After completion of Secondary Education, they may proceed on to vocational or tertiary studies. After completion of secondary school, students who wish to gain practical skills prefer to continue with vocational education. The options are available from individual courses to Technician and Artisan training which takes 2 to 3 years. This includes studies at universities and colleges. It usually takes 2 to 4 years depends on level and type of program. There is no formal ranking system and choices are often based on geographic convenience and the reputation of a particular course. The Student Partners Program, more commonly known as SPP is an Administrative Framework designed to streamline the Visa Application process for international students studying in Canada from India. 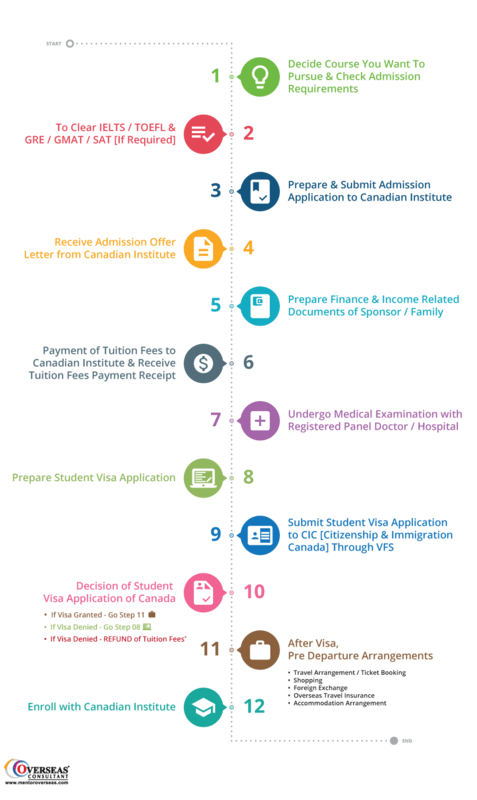 This framework is based on the close cooperation between Colleges and Institutes Canada (CICan) and Citizenship and Immigration Canada (CIC) who provide feedback to ensure student compliance with the terms of their Study Permit. SPP was initially launched in April 2009. The main objective of SPP is to streamline Admission and Visa process for Canadian Community Colleges which would increase the number of Visa Grants for Indian students to study in Canada. Students planning to pursue Study in Canada can apply to any of the participating SPP Institutions. The final decision of Admission Application of any student solely lies to the participating SPP Institute in which student apply for admission. Study Permit Applications under this program receive prompt processing and a fair decision based on the documents furnished by the student to CIC. However final decision of any Study Permit Application solely lies to CIC. The Student Partner Program involves close cooperative partnership and feedback from participating institutions to ensure student compliance with the terms of their Study Permits. Students interested in submitting applications under SPP are encouraged to contact the participating institute of their choice for more information. Please note that there are many other CICan Institutions which also welcome students from India. Though the official criteria is not published by SPP, CIC or CICan, below is general guideline to criteria for SPP summarized as per our opinion. An overall IELTS score of 6.0 Bands with no less than 5.5 bands in any section. The Test score must not be older than two years. Gap of no more than 3 years after completion of last study. Minimum 50% score in their recently completed education i.e. Degree or Diploma. For Higher Education Programs like B.Tech, not more than 6 backlogs. The current list of SPP participating CICan Member Institutions are as under. According to Citizenship and Immigration Canada guidelines, students require CDN $10,000 per year to cover living expenses. Students can fulfill this requirement by purchasing Guaranteed Investment Certificate (GIC). Under the Scotiabank Student GIC Program (SSGP), students can purchase a Guaranteed Investment Certificate (GIC) from Scotiabank for $10,000 CAD. A GIC is an investment account that offers a guaranteed interest rate over a fixed period of time. $2,000 CAD plus any accrued interest will be deposited into student’s personal bank account when he / she arrives in Canada. Each month, for 12 months, student will receive a portion of the balance of investment back, plus interest. Student can use these funds to help pay for living expenses while he / she will be studying in Canada. The fee for this program is $200 CAD, non refundable. Visit Scotiabank website for more details. Under the ICICI Bank Canada Student GIC Program, students can purchase a Guaranteed Investment Certificate (GIC) from ICICI Bank Canada for $10,000 CAD. A GIC is a secure investment account ( like a Fixed Deposit in India) that guarantees the full amount of original investment and interest on principle amount over a pre-determined, fixed time frame. Students will receive a portion of his / her investment plus interest every month for a 12 month period. Student will have received full investment of $10,000 CAD at the end of 12 months. The fee to participate in this program is $150 CAD, non-refundable. Visit ICICI Bank Canada website for more details.